Eight people in a French town have received tickets for “improper honking” and three for revving their motors. A HANDFUL OF football fans in northeast France are paying the price for celebrating their nation’s World Cup win a little too loudly. Police in the town of Tergnier – with a population of 13,000 – issued fines of €35 in the wake of the national team’s World Cup victory this month to people who carried on honking horns after some neighbours were ready to call it a night. After France secured its second World Cup title on 15 July, “for a while there were huge numbers of people out in the streets”, police officer Didier Aubin told AFP this week, confirming a local press report which revealed the fines. But when calm returned at around 10pm (8pm Irish time) some fans still wanted to drive around honking their horns, while motorcyclists repeatedly revved up their engines. “Lots of people who couldn’t care less about football were complaining, because people were screaming in the streets, honking, and the motorcyclists were making tons of noise,” Aubin said. As a result, eight people have received tickets for “improper honking” and three for revving their motors, he said. Email “'Improper honking' ends in fines for French World Cup fans”. 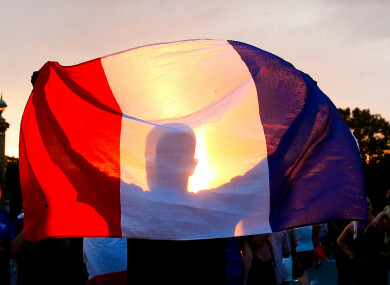 Feedback on “'Improper honking' ends in fines for French World Cup fans”.